Wireless charging is definitely the new craze and with integrated support for both major standards – Qi and PMA in the Galaxy S6 edge, Samsung has earned some bragging rights. And a new commercial seems to prove that the Korean giant is not above dangling its new toy in the face of Apple and its “wall hugging” fans. This advertisement tactic is really nothing new, but still exploiting the “look at what you are missing out on” angle has a powerful effect on users, especially trend-conscious ones. 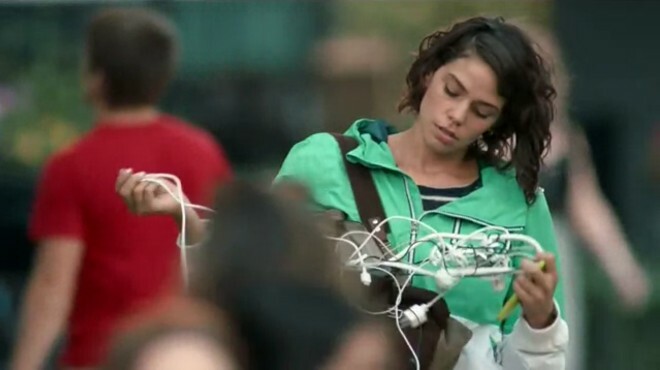 The real situation might be far from the tangle ball of cables the video portrays, but, there is some grain of truth, as Apple is guilty of requiring a ton of adapters and cables, just to get everything working together. For a company that puts such great value on simplicity and user experience, this is an issue that has persisted for surprisingly long. However, there is also the flip side and wireless charging is still far from an ideal solution. Most people tend to favor a cable for quickly revitalizing a dead handset. Perhaps that’s to change when the just announced 15W upgrade in the next Qi version becomes available.